Spotlight On: Monthly insight on our students, grads, faculty and staff. 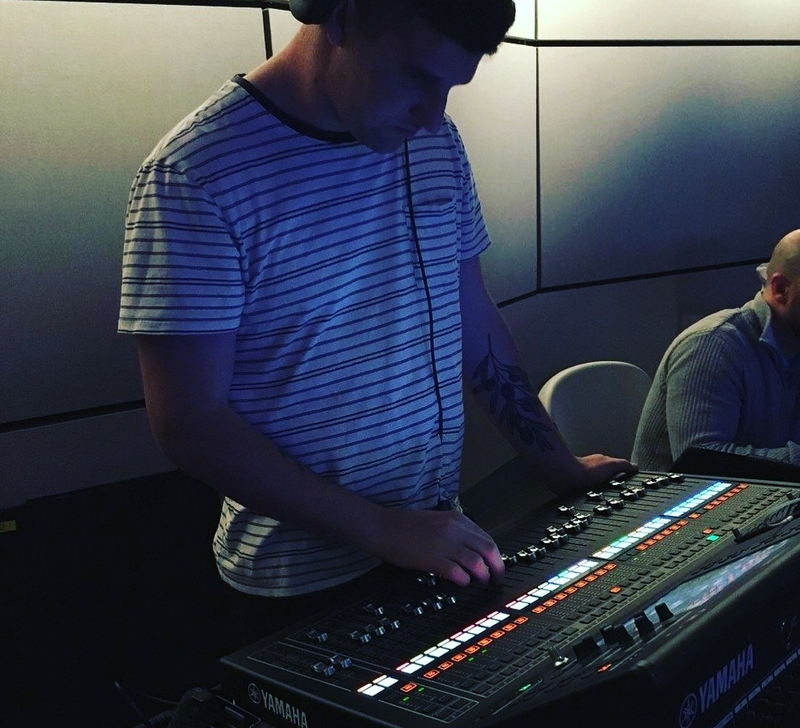 This first month our Spotlight On hits Noah Mattison, a recent Diploma Program grad and newly minted Studio West Intern. Q. What was the last piece of gear you bought? Why? Regrets or is this a must have for everyone? A. I bought a Focusrite Scarlett 2i2 and Kontakt 5. I’m very happy with both and they are great for home studio environments. I’m not super into buying gear other than the essentials or tools for composition. Everything else I prefer to do at a studio. Q. Name one thing that you learned in the program that you have already used? A. To be honest, there is almost nothing from the program that hasn’t come in handy since I graduated. I tend to do a lot more Phone Patch sessions that I expected, so learning that in class really helped a lot. Q. Name four artists currently on your iPod/playlist. A. Tigran Hamasyan. Aesop Rock. Kimya Dawson. Father John Misty. A. To see everything come together in our Capstone projects was really special for me, but that wasn’t really an in class project. I really enjoyed the drum days with Ben in Studio A. Being able to get these massive drum sounds was something totally foreign to me before I had entered the program. A. That question has an infinite number of answers and I don’t think I will ever learn what all of them are. But I will try. Creatively speaking, I think I’m very influenced by Aesop Rock. I really relate to a lot of his music and grew up listening to it, so it makes sense that I might emulate his style in my own original music. Q. What instruments do you play? Does this help you in the studio? A. I’d venture to say that I’m a pretty good rapper. I’m also a half decent guitarist and okay at bass. Being a rapper has helped me the most in the studio, largely because recording vocals has a little bit of psychology mixed in with the regular recording process, and having that lived experience of being behind the microphone helps me create an anxiety free environment for clients. Q. What is your dream gig? A. I’m working on publishing a full length novel right now,, so it would be great to have that in my life. Other than that, I’m really drawn to mixing, especially anything Jazz or Hip-Hop. I’d love to stay working in studio environments and to do more with my own original music. I guess the answer to your question is that I have multiple dream gigs. Q. If you could spend the day with one celebrity or industry influencer, who would it be and why? A. I love the director Denis Villeneuve and would love to spend a day picking his brain and learning everything I can from someone so good at storytelling. Q. What is the last picture you took with your cell phone? I took a photo of some settings on a preamp I used during a session. I will use them again next time I work with that particular client to keep a sense of continuity.